Office plants have been found to boost productivity by 15% in a new study, but did you also know they improve mood, creativity and air quality? Forget that funky office furniture and large artwork, one study suggests that if you want to make your staff more productive, you just need to invest in some plants for your workplace. The University of Cardiff carried out their study in offices in the Netherlands and the UK and found that enriching a spartan office with plants increased productivity by a whopping 15%. This study used tall plants (3 feet) with a plant for every square metre. 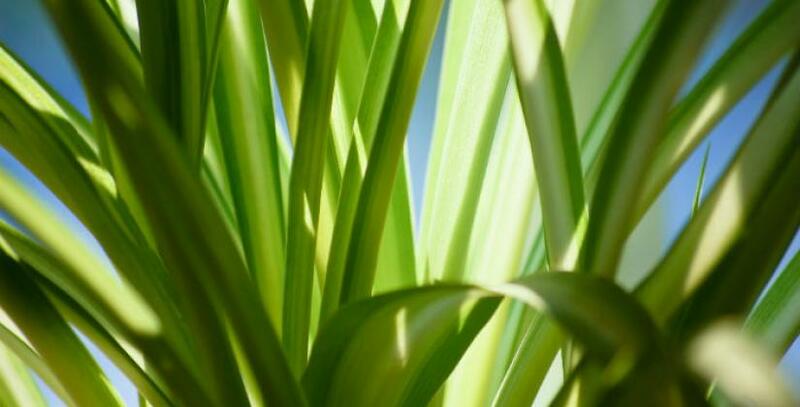 Previous research has indicated that plants improve mood and reduce stress and some reduce indoor air pollutants. In fact, the productivity increase in this study is quite moderate when compared to earlier research. A study by the University of Exeter found that plants could improve productivity by as much as 38%, well-being by 47% and creativity by 45%. A two-year study by the Agricultural University of Oslo also found that plants reduced ailments such as headaches, sore throats and fatigue by up to 45%. The office is actually a minefield of potential health issues. Printers, photocopiers, whiteboard pens and chemicals such as cleaning products can all pollute the workplace by emitting substances such as volatile organic compounds (VOCs). For example, photocopiers emit ozone and ink toners can produce substances such as methyl alcohol. These can cause headaches, fatigue, eye irritation and flu-like symptoms such as a stuffy nose. Particles can also be emitted by hairdryers, cars and even candles, so this isn’t necessarily restricted to the office, but the prevalence of air conditioning means you don’t necessarily have to be sat near the main pollution sources to be affected. Several years ago, NASA carried out a clean air study, investigating the role of plants in removing air pollutants in spacecraft (which are also found in homes and offices). They discovered that certain plants could remove as much as 87% of the indoor pollutants. This is important when you consider the levels of indoor air pollutants. For example, a study by Australian scientists found that an office printer increased the indoor particle count by five times. They can improve air quality. Rooms with plants in contain 50-60% fewer airborne bacteria as well as (VOCs) and particulates. They can make a stark office more welcoming and make it smell fresher too. Peppermint. The smell of peppermint stimulates your brain, encouraging productivity, as well as making your office smell fresh. An additional benefit is that the smell can help to suppress your appetite. Golden Pothos. This is a pretty plant with heart-shaped leaves and made NASA’s top list for air filtering, as it cleans the air of indoor ozone and formaldehyde. Low maintenance, the plant survives well in low light and you can just water it when it begins to droop. It can be quite fast growing in the right conditions, so you may need to trim it occasionally. Spider plant. This one is good if you don’t have much desk space, but have a free spot on a shelf. It thrives in all types of conditions and improves air quality while decreasing dust. According to NASA, this was one of the most effective plants for removing formaldehyde molecules. Philodendron. This plant removes VOCs and excess CO2. It’s best located away from full sunlight to prevent the leaves from burning and the leaves should be misted occasionally. Peace lily. This plant is good if your office isn’t particularly bright. It removes three of the most common office VOCs – formaldehyde, benzene and trichloroethylene, so is also on NASA’s list. It can grow to be quite large though and you should mist its leaves every so often. Dracaena. There are many different varieties – some have red edges for a splash of colour, while others have striped leaves. It was featured in NASA’s recommended plants for air filtering and grows slowly, particularly in low light, so you won’t have to worry about it taking up too much space. Lemon balm. This plant can cope in both sunny and shady areas and improves your mood while stimulating your brain. Snake plants and chrysanthemums are good for workplace toilets, as they filter out formaldehyde and benzene respectively, found in cleaning products and detergents. Or if you’re more concerned about decoration and aesthetics, how about a miniature terrarium? These have become very popular in recent years and need very little upkeep. Make sure that none of your colleagues are allergic to pollen. The likelihood of your plants flowering depends on how well you look after them and the light levels in your office, but it’s best to check before buying. Read up how to care for your plants. Don’t over water them or you risk the possibility of mould, but conversely, a dead plant will do nothing for your mood or productivity if you don’t remember to water it at all. Think about how many plants you need. According to NASA, you should have one potted plant for every 100 square feet of office space.